ST. GEORGE – Self-Help Homes is looking for more families to participate in a sweat-equity homeownership program. Participants who qualify can get a low-interest home loan and groups of families work together as a team to provide sweat equity to build all the homes within the group. Six families are already building on lots in Toquerville and LaVerkin and five more families are needed. 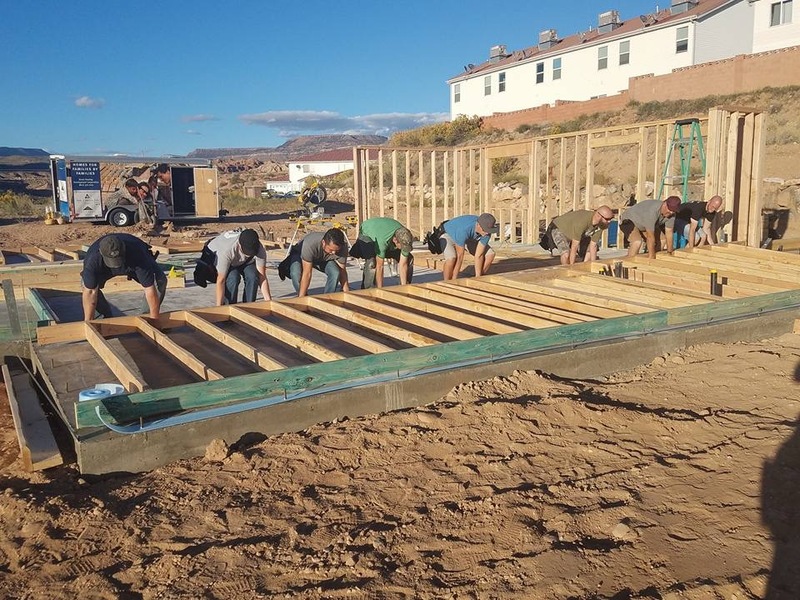 “They’ll be able to put in their sweat equity, they’ll learn their skills (of) how to build,” Brad Bishop, executive director of Self-Help Homes, said. “It’s just a great opportunity for them to get into a home, with the high costs of homes today,” Bishop said. The six families already enrolled in the program and building houses are a diverse group, Self-Help Homes spokeswoman Karen Weatherspoon said. Among them are a teacher, manufacturing workers, a caseworker, a cashier, fitness instructors and a registered nurse. One of the families, that of Mark and Danielle Clyde, has seven children in their blended family and struggled to find a home big enough for everyone. 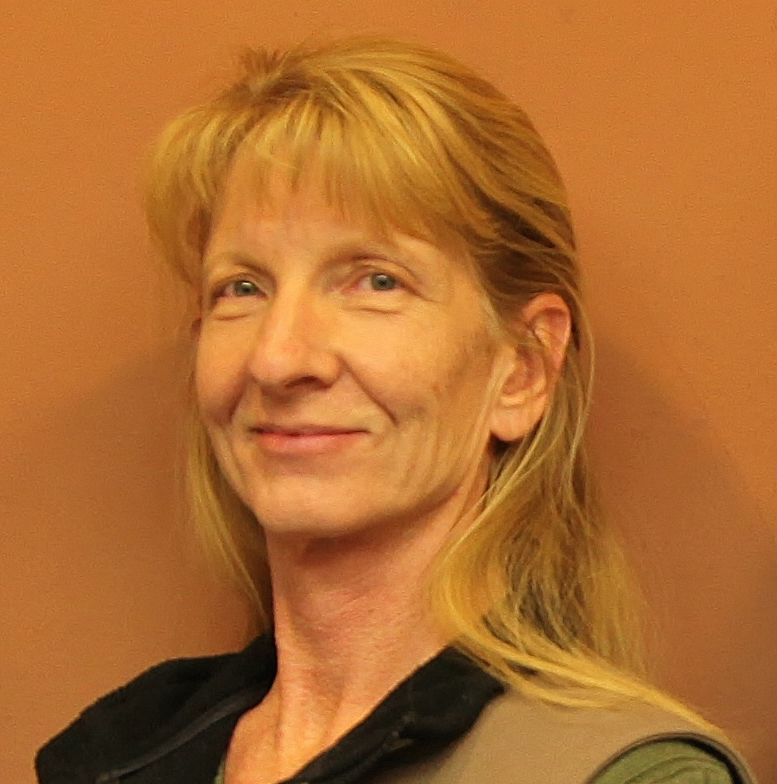 They began looking for a home in 2014 and had gotten discouraged, but an article in St. George News prompted them to apply for the program, Danielle Clyde said in a statement. “I was so excited and immediately called Mark at work to tell him what I had found. Mark and I knew about the program because we have several friends who have built with Color Country and Five Counties (Five County Association of Governments) but knew they were no longer doing the program and did not know who to contact. This was an answer to a prayer,” Danielle Clyde said. The family started on the first home in their group in October 2016 and hope to finish by June, she said. There are six families in their building group, and they have enjoyed getting to know each one. “We each come from very different backgrounds and each have different stories to tell, but in the end we all have one common goal and that is to work together as a team to help each other achieve our dream of building and owning a home,” Danielle Clyde said. No matter their varying backgrounds, the families are all able to find the time to work together as a team for the required 35 hours per week per family to build the six homes in their group, Weatherspoon said in an email. Self-Help Homes is a nonprofit organization created to help eligible families achieve the dream of home ownership. Groups of families work as a team to provide the labor to build all the homes within their group – all the homes must be completed before any family can move in. Over several months, each group works under the direction of a construction supervisor and contributes more than 65 percent of the labor on each other’s homes. Each family volunteers at least 35 hours per week framing, roofing, painting, doing finish work and more. The homes are three-bedroom, two-bathroom and are about 1,400 square feet of finished space with a full unfinished basement or a second-floor bonus room. Mortgages for the homes can range from $210,000 to $230,000 and are administered through the U.S. Department of Agriculture Rural Development office. Payments are structured to be affordable. The USDA interest rate in January was 3.25 percent. Depending on income and family size, interest rates can be subsidized down to 1 percent. 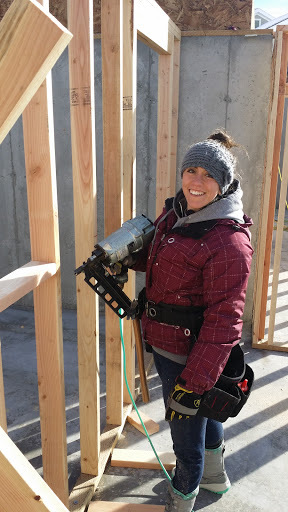 The Mutual Self-Help Housing program has been in operation in Utah and Wasatch counties for 16 years and has helped build nearly 400 homes in Utah. To qualify for the program, applicants must have low debt, good credit, enough income – at least $33,000 annually – and be willing to contribute the labor necessary for the project. The applicant must also be income-qualified and earn less than 80 percent of the area median income for Washington County. For example, a family of four must earn less than $51,300 per year. Anyone interested in receiving more information about the housing program can call Self-Help Homes at 801-375-2205 Ext. 111 and ask for Halie. Information can also be found on the Self-Help Homes website. I would totally do this with my family if they found areas in Washington or St. George.